Boston College's student body is 70 percent Catholic, so many people at the school are very excited about the pope's visit. A small group is going to see him in Philadelphia, but the rest of the students are finding ways to celebrate the pontiff on campus. 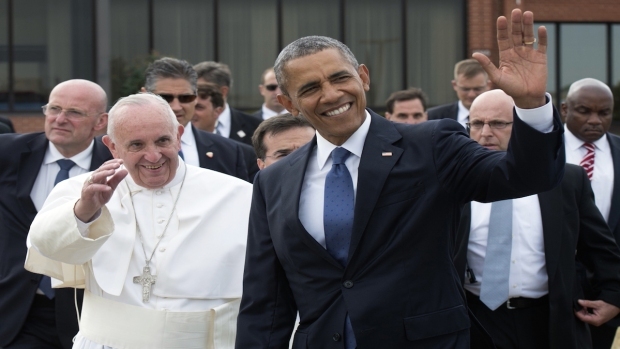 Pope Francis has been getting a rock star reception since he landed in Washington Wednesday morning. It's a trip that's generated excitement across the United States. A cardboard cut out of the pope is making the rounds at Boston College, encouraging students to give him a high five or snap a selfie. "I'm a big fan, to be honest," said freshman Scott Hughes. "I think he's doing some great things for the church." The first day of Pope Francis' time in the U.S. was not without its controversy. 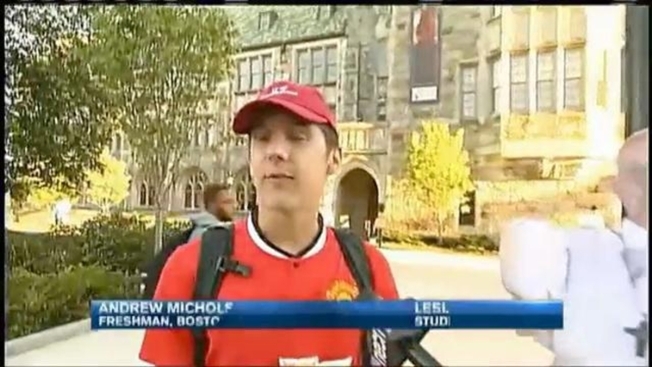 Necn special contributor R.D. Sahl explains. "I think he's definitely a forward thinker, compared to the popes of the past," said freshman Andrew Micholson. "I guess in that sense you could say he's with it." That sentiment is filling the pews at BC. After class, students took time to celebrate the pope's arrival with a special Mass, presided over by an Argentine Jesuit priest - obviously selected because the pope is both a Jesuit and from Argentina. "He's raising up great Judeo-Christian values," explained Thomas Groome, the director of Church in the 21st Century at the school.